Our team can easily go to your city and make the loudest Silent Event ever. To do full construction we come to your city with our professional team. This is the key to get the best event for your audience. 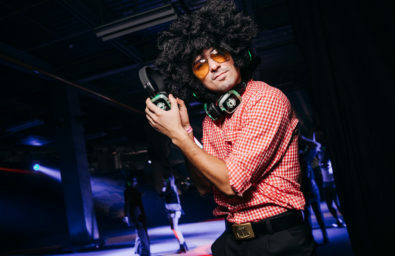 You’ve just need to promote the Silent Disco, Silent Yoga, Silent Cinema or Silent Anything you want. You make the payment and discuss all details with us. You will pay for the rental and all fare. Do you wanna make you our Silent Event? Contact Us!